Mortimer claimed his second win in the prestigeous memorial after a dominant performance in the junior sedans but his 144 point effort was matched by the returning Batchelor in the production sedan ranks. The Noel Pearson Memorial has been contested on opening night at Attwell Park Speedway since 1989-90, and is awarded to the highest pointscoring Albany Speedway Club member across all divisions in recognition of long-time member and former driver Noel Pearson. 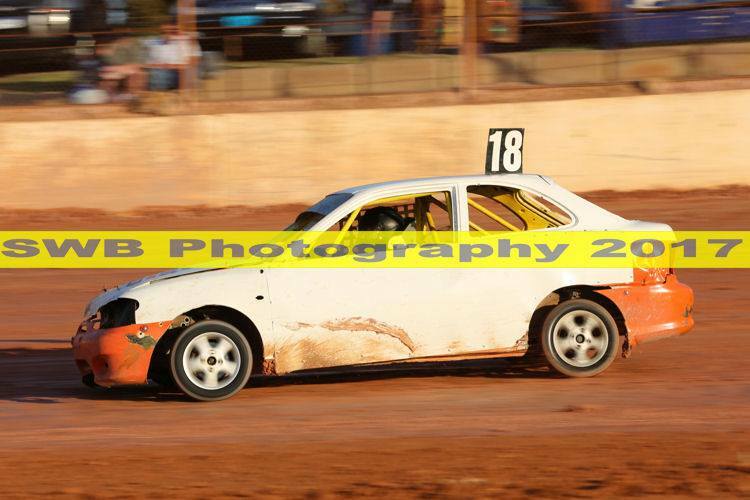 Mortimer won the crown last season and backed that effort up with an undefeated night in the junior ranks, scoring three dominant heat wins before claiming the 10-lap final by more than three seconds. 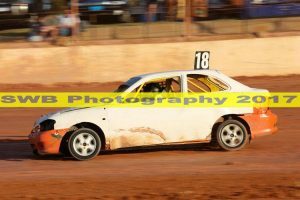 Batchelor made a welcome return to the driver’s seat in a competitive production sedan field, winning all three heats and then scoring a comfortable victory in the 15-lap final to finish unbeaten. The two drivers were announced joint-winners of the memorial, and also topped their respective division point scores for the night. Mortimer defeated Bianca Kennedy and Hope Batchelor in the juniors overall while Batchelor proved too strong for the impressive Shane Devonshire and Ron Belfield in his division. Nathen Tester was undefeated in the formula 125s after the heat races but failed to finish the final; however, he still managed to win the overall points in his class. Tester edged out Darren Cartwright by 23 points, with State champion Sam Jewell back in third. 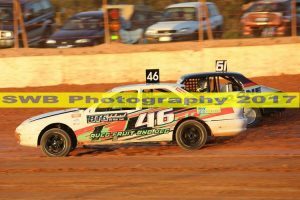 Paul Bowman won the street stock points on a countback after he and Peter Herbert had two wins and two second placings apiece. The new base stock division ran several displays at the season opener, which also included burnouts.